Sept. 8, 2017, 11:18 a.m. Please join us for our presentation on Wednesday 13 September at the Workshop on Collaborative Research Projects. 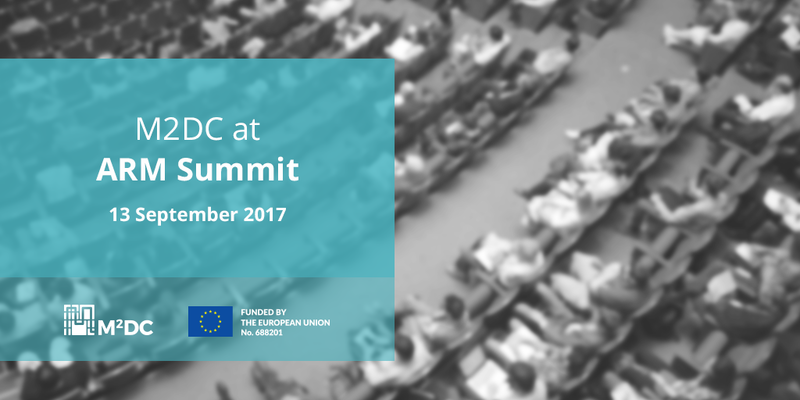 Mario Porrmann will present the ideas and latest results of the M2DC project. If you are not able to join the talk, you can also book a meeting to easily get in touch with us at the conference. low-power ARMv8 embedded/mobile processors, x86 processors, MPSoCs, GPUs, and FPGAs (Intel Stratix 10) with a high-speed low-latency interconnect, and the overarching middleware based on open-source components.